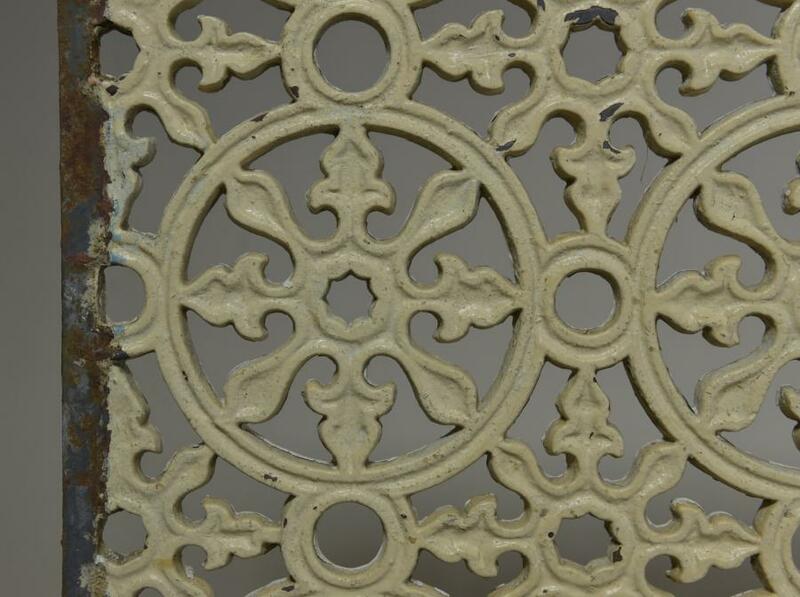 A large antique cast iron grille with repeating decoration made up of 3 parts that locate precisely together. 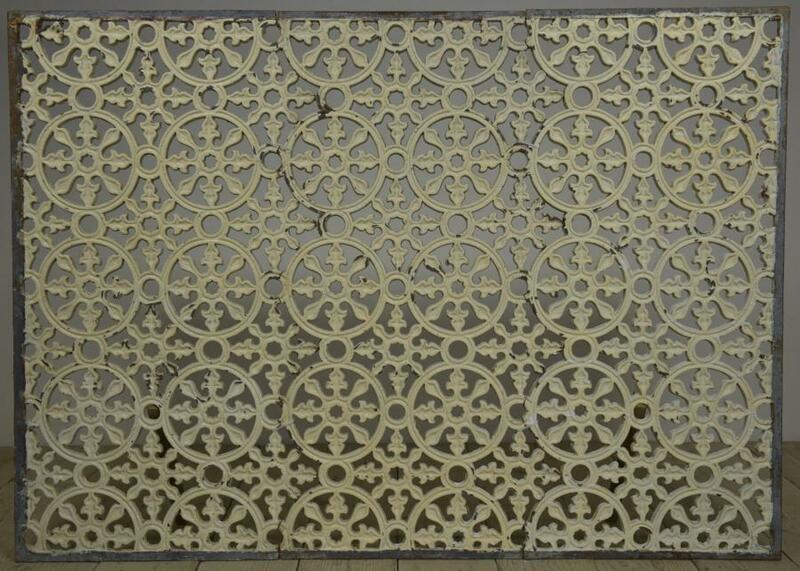 The grill has a finished surface to both sides so would work well if viewed from both sides ( as a panel in a wall for example ) English 19th century. No damage Dimensions in inches/cms; 67.5"/171cms wide. 48"/122cms high. Approx .625"/16mm thick. 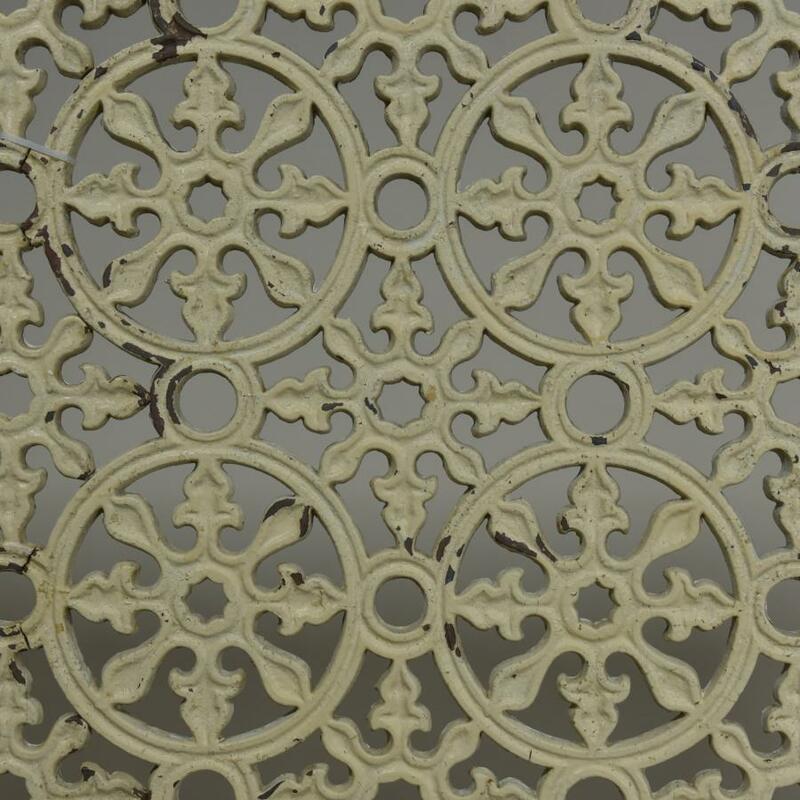 Can be mounted landscape or portrait. For more or higher res images please see my blog which can be accessed through the news section of this (haes) website.